basic theories, methods and methodologies of engineering management. theories, methodologies and applications of engineering management in the pluralistic sectors of mechanical and vehicle engineering, information and electronic engineering, metallurgical and material engineering, energy and mining engineering, civil engineering and architecture, environmental engineering, textile engineering, agricultural engineering, medicine and health engineering, traffic engineering，hydraulic engineering, chemical engineering, etc. philosophy of engineering, ethics of engineering, economics of engineering, sociology of engineering, culture of engineering, politics of engineering, decision making of engineering, etc. 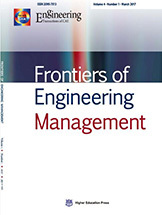 theories and practices of engineering management education, engineering management certification international, etc.